There is nothing I like better than a Saturday with no scheduled activity, but this past Saturday Proverbs 3:27 had me out and about all day: Do not withhold good from those who need it, when you have the ability to help (NET Bible). 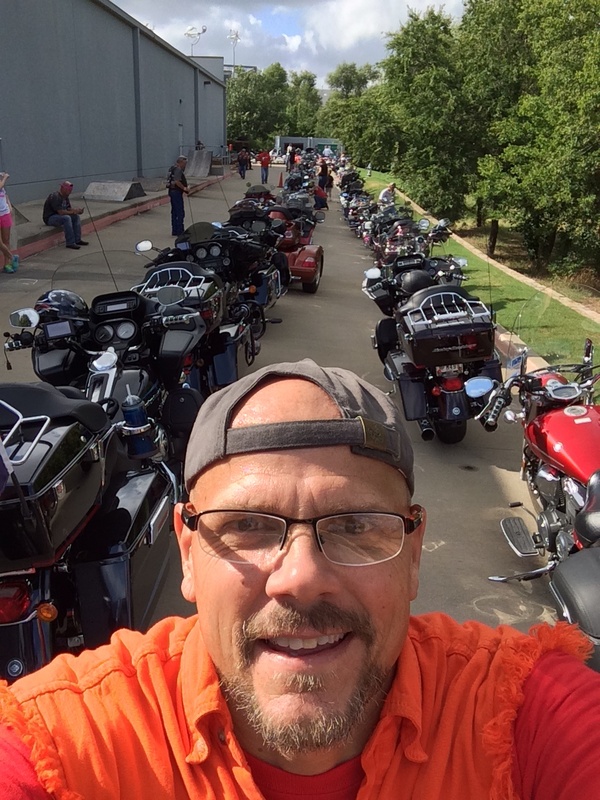 I had the honor of serving as parking marshal for the 6th Annual Bikers for Boobees charity ride. The ride generates money for the Susan G. Komen 3-Day for the Cure. Participants ranged from touring club members, motorcycle club members, survivors, families of survivors, and those still battling the disease. I had the pleasure of telling 150+ riders where to park – sort of like telling a cowboy where to leave his horse. This is a unique event with participants who are some of the most compassionate people in the metroplex. 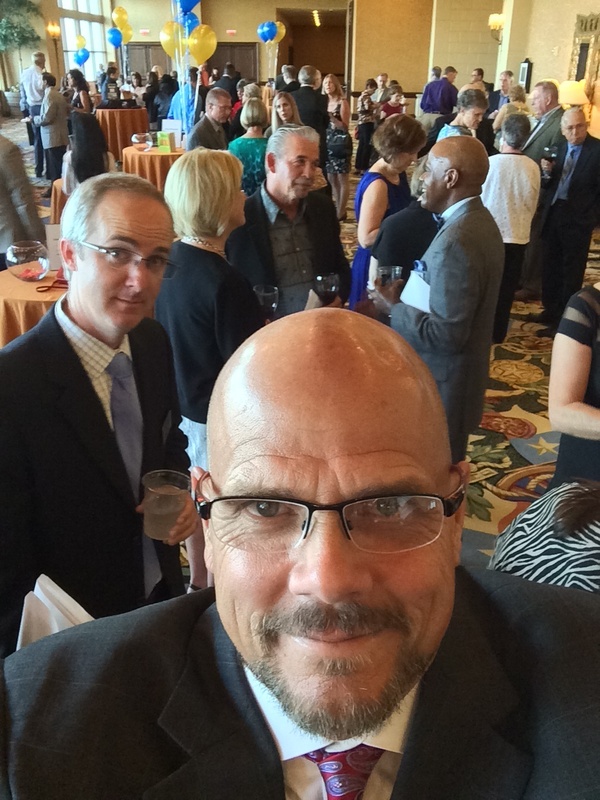 That evening, my wife and I attended the Christian Community Action (CCA) Season of Hope 2014 fundraiser in Lewisville. Created to serve the Denton County area, CCA helps those in need with healthcare, food, clothing, and living expenses. A different type of service at this event, but a service critical to those in the community who need a hand up – not a hand out – at difficult times in their lives. I had the ability to help. Two totally different dress codes. One great result. JGW. They are lean. They are mean. And man those uniforms look sharp! 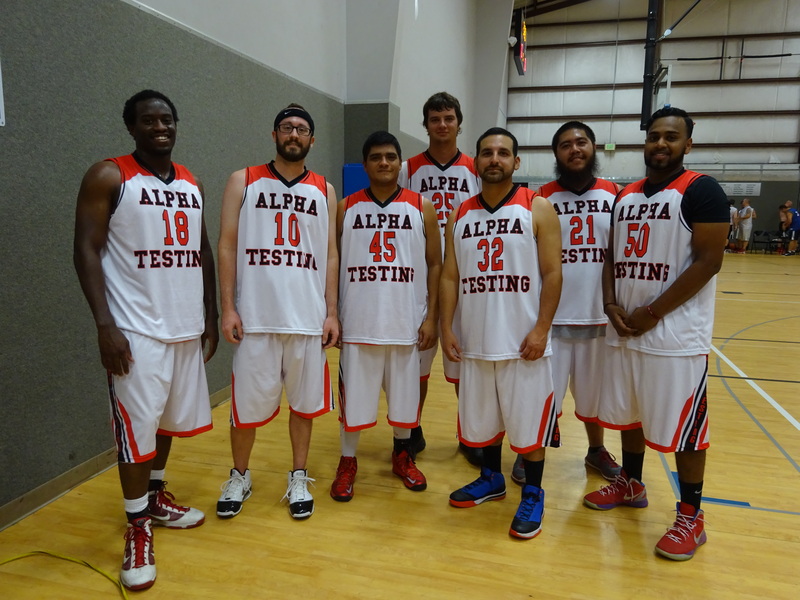 The 2014 Engineering Basketball League in San Antonio is sporting a new team this season — the Alpha Testing Hoopsters! Players include (and pictured from left to right) Antoine Anderson, Paul Muller, Jeremy Sanchez, Colin Dlugosh, Chris Reyes, and Mike Marinos. The season started with a loss to BURY, a win against Overland (60 – 30), and an unreported score against Cude. This week the Hoopsters challenged HDR and came out with an… unreported score. No matter the trend, Terracon is scheduled for the chopping block next week. 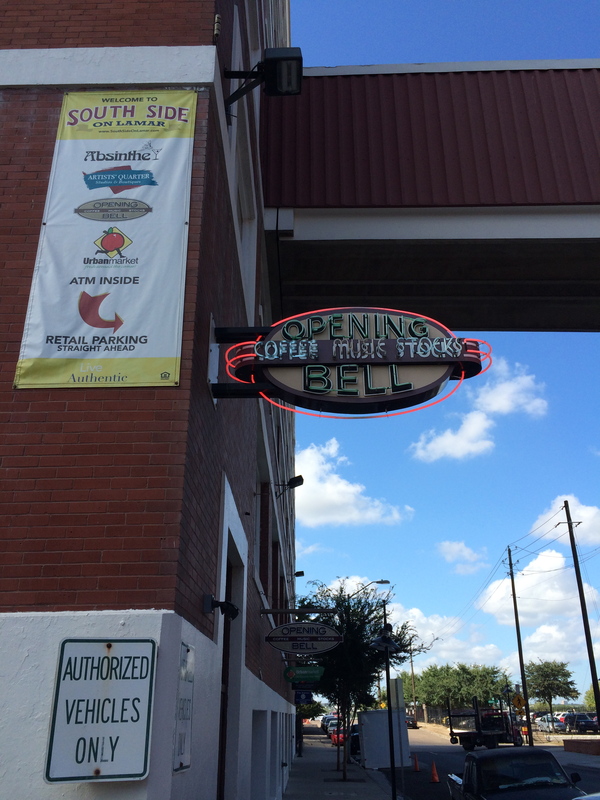 Opening Bell Coffee (OBC) was fortuitously discovered by Jeff Wilt and Tom Patterson while touring south of downtown Dallas after a meeting. The inviting street front and basement setting led the two inside. This is not your average coffee shop. It offers a little bit of everything throughout the day — coffee in the AM, live music in the PM, and breakfast tacos served all day. Does it get any better? 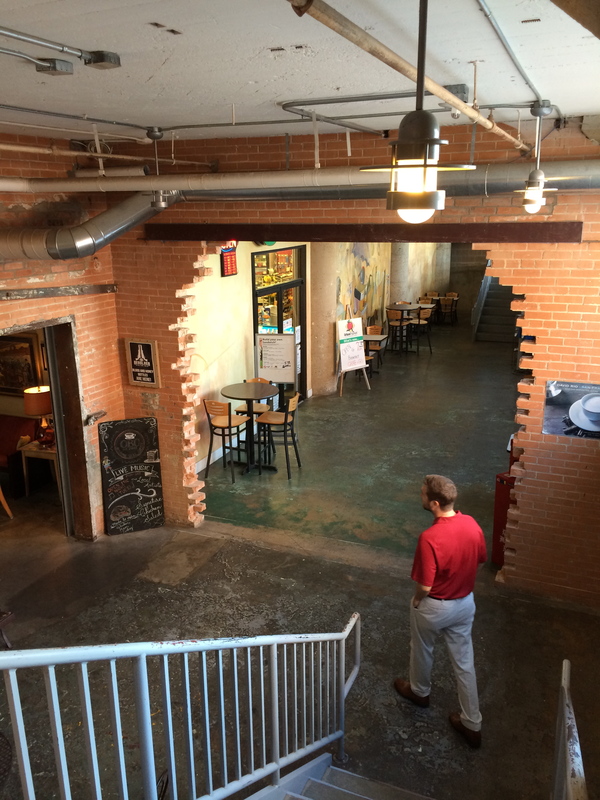 Located on South Lamar Street, this is one basement worth exploring. What better way to make sure the business development efforts in Houston are on target? Range practice, of course! 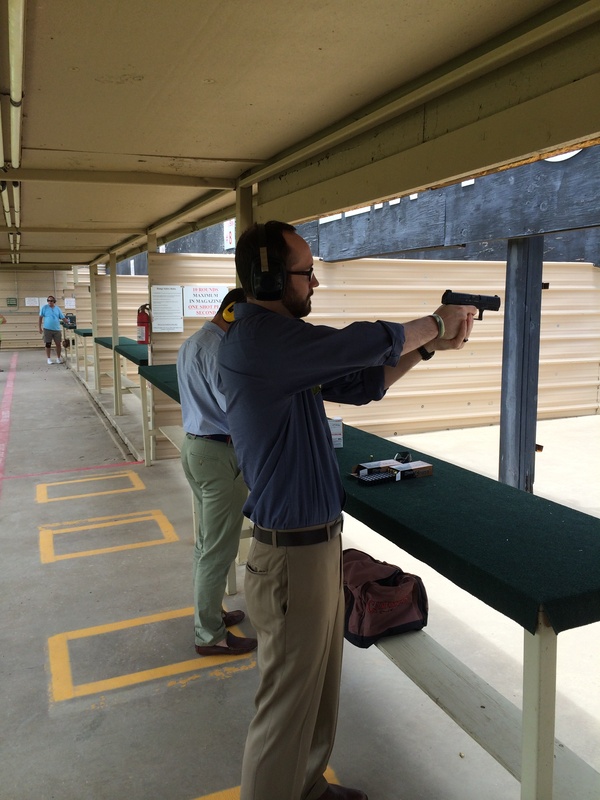 Hunter recently took some time out with Paul Muller (San Antonio Office) and Jeff Wilt (Dallas Office) to hone his skills with 100 rounds or so at the Elm Fork shooting complex. Nearing his six-month mark with Alpha, Hunter has seriously expanded our presence in the Houston market through “targeted” activity with local architects and developers.